NETinfo Mobile Financial Services is a closed loop electronic wallet that runs independently of any card association, or any other third-party, enabling mobile payments in a secure, effortless and low-cost way. The key participants in the system are users, merchants and agents, and each will hold an e-wallet account. Any transactions within these e-wallets are cleared and settled instantly in the system. The MFS operator can set up the characteristics and features of the ecosystem parametrically, through the MFS administration portal, and monitor the wallet. NETinfo Digital Banking Platform provides comprehensive out-of-the-box functionalities and features to satisfy the digital banking needs of today’s consumer-centric financial institutions. NETinfo MFS enables online registration, automating the end-to-end process and eliminating paperwork. Users gain speed and convenience, and there are multiple KYC levels. MFS users can cash in/top up their e-wallet or cash out any time using their bank account, their credit card or through the agents of the MFS system. MFS users can make person-to-person fund transfers using a mobile device and either a mobile/wallet number or by selecting a beneficiary from the mobile’s contacts. Both will receive SMS confirmations when transactions are complete. NETinfo MFS facilitates any type of payment including government payments, municipality payments, ticketing, parking, vending machines, gas stations and many more. NETinfo’s two-way beacon technology allows users to make in-store payments, independently of any mobile network or internet connection, and online payments using their digital wallet. NETinfo MFS has an in-built loyalty system and rewards for users. MFS users can view and manage loyalty points accumulated per merchant, and review and take advantage of merchant offers. MFS users can have an aggregate and detailed insight of their e-wallet account including transactions history and analysis. They can also perform full money management, in order to estimate their income and control their expenses, via goal and budgeting tools. A secure mobile financial services environment where users and their mobile devices must be registered and activated in the MFS platform in order to access the system. Payments within the system are cleared and settled instantly within the MFS platform. Very easy and low cost for the implementation of this alternative payment method. NETinfo MFS can be integrated effortlessly with any POS system. MFS is independent of any card associations and third-parties, while any payments within the wallets are cleared and settled instantly in the system, meaning very low transaction costs. Acquire new customers and increase sales by using the MFS marketing campaign tools, which generate leads for cross-selling and up-selling. Merchants can increase their revenue by acting as agents thereby enjoying commissions from the enrolment of new users and the transactions performed by them thereafter. By using big data insights, merchants, can personalise their marketing and attract new customers. The in-built loyalty system and the associated tools enable the merchants to manage their coupons and loyalty points. Each merchant can define its own loyalty plan and offers. NETinfo MFS is fully and centrally managed by the MFS operator, which can define the whole business model including the charges and fees that will apply to every activity. All transactions within the system are settled and cleared within the MFS platform, hence low operating cost. The operator can define its own loyalty plan and offers in order to gain more revenue and attract new customers. The operator can continuously add new partners, merchants, agents, services or functionality to the system, increasing the offering to existing users, while attracting new customers. Gain revenue through commissions from the enrolment of new users and the transactions performed by them thereafter. 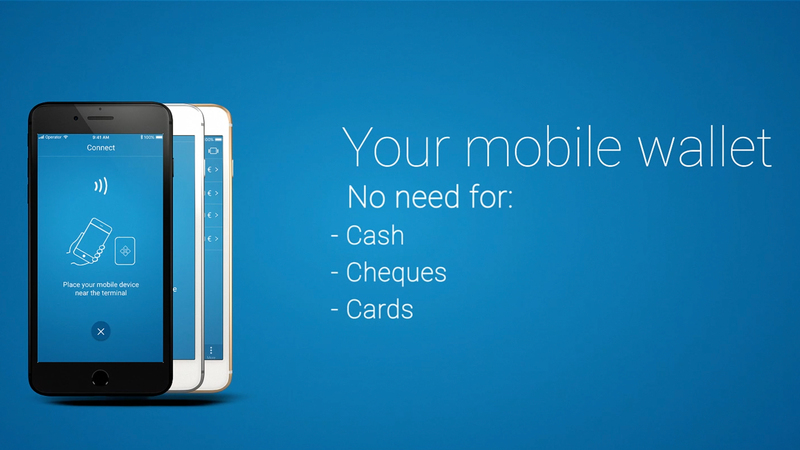 run on iOS or Android devices, providing an alternative payment method to cash or credit cards. both developed and emerging markets as well for banked and un-banked communities.